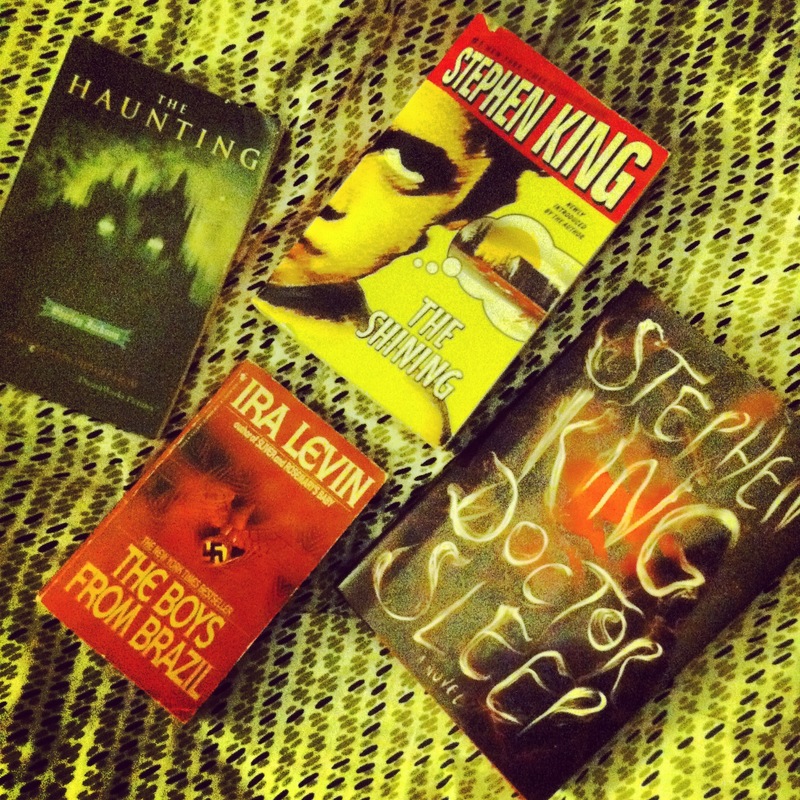 Last year I wrote an post on great Halloween reads. Tonight I gleefully started my first Halloween book for 2013. Drew recently gave me Stephen King’s latest, Doctor Sleep, which is a sequel to The Shining. My grand plan is to reread The Shining in preparation for reading Doctor Sleep, and then, if I have any time left after that before November 1st, I’ll reread Shirley Jackson’s The Haunting of Hill House which is one of the freakiest stories ever. I don’t know what it is that I freaking love about Halloween. I don’t know if it’s nostalgia: I have all these memories of singing Halloween songs, writing stories about ghosts, stamping pumpkins all over a piece of paper…and that’s just elementary school. I don’t really care about dressing up in a costume myself, but I want to browse every Spirit superstore and look at costume pieces. I love Halloween episodes of TV sitcoms. I love haunted houses, and scary movies. I love fake spiderwebs and other domestic decorations. I love creepy statues that jump into life when you walk by them. I love crunchy leaves on the sidewalk and brisk winds (not necessarily Halloween-specific). As a bonus, the bookmark I found in The Shining when I opened it up is a ticket to Nightmare Haunted House! The memories, they are flooding in.